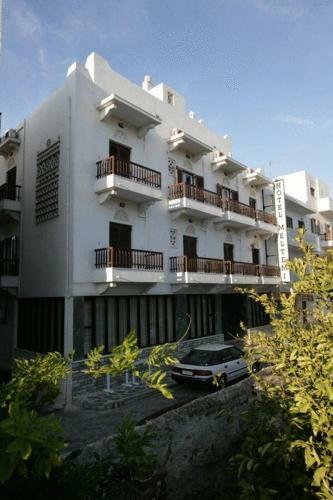 Centrally located in Tinos Town, Byzantio City Hotel is surrounded by a garden. It offers simply decorated accommodation opening to a balcony with Aegean Sea views and free Wi-Fi throughout. The nearest beach is 700 metres away. Located 400 metres from the beach of Agios Avgoustinos in Messinia, Hotel Sias Bungalows offers a swimming pool and restaurant. It features air-conditioned rooms with a furnished balcony overlooking the lush gardens. Located right opposite Tinos port, Asteria Hotel lies within a short walk from the church of Virgin Mary and just 120 metres from Tinos Chora. Rooms are air conditioned with private balcony. 6th Stavrou - Kionion Av. Hotel Meltemi offers affordable rooms and is located just 200 metres from the church of Panagia and 250 metres from Tinos Port. On-site facilities include a snack bar, TV lounge, and 24-hour front desk. Free WiFi is provided throughout. 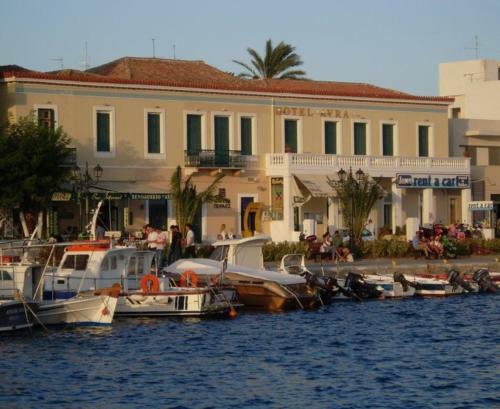 Avra is a neoclassical building on the waterfront in Tinos Town. It offers a buffet breakfast, free Wi-Fi and air-conditioned rooms. Rooms at Avra Hotel are equipped with a TV, fridge and telephone. All units include a private bathroom with shower. Located 50 meres from the port in Agios Konstantinos Town, Olga offers rooms that open to a balcony with sea or mountain views. Free Wi-Fi is available in all areas. All accommodation types come with a TV and fridge. The whitewashed Onar Studios is located 100 metres from Tinos Port and 150 metres from the nearest beach. Enjoying views to the Old Port, it offers self-catered accommodation and free Wi-Fi in public areas. Poseidonio is situated a few steps away from the busy Evagelistria Street and a 10-minute walk from the nearest beach in Tinos. 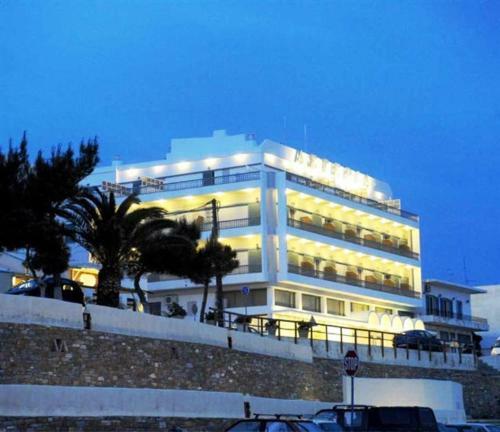 It offers rooms with views of the Aegean Sea or the scenic Old Town.